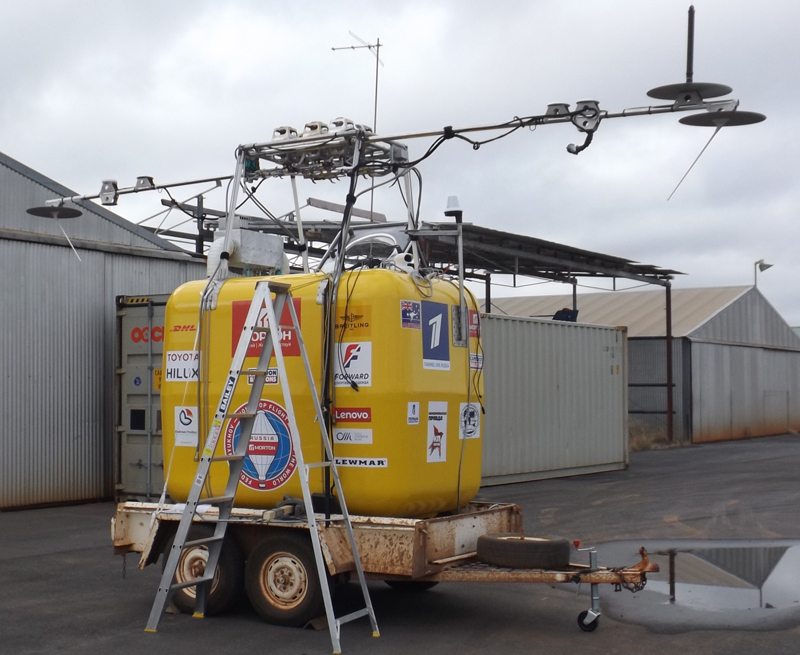 to beat Steve Fossett's record and also starting from Northam, Western Australia. The Northam Aero Club (Western Australia) welcoming Fedor Konyukhov and his team. The gondola and all its electronics.